Marshall, owner of A. Marshall Hospitality and a Boys & Girls Clubs alumnus will accept the award at the 30th Annual Steak & Burger Dinner. The event takes place Thursday, May 9, 2019, at 5:30 p.m. in Liberty Hall in the Factory at Franklin. 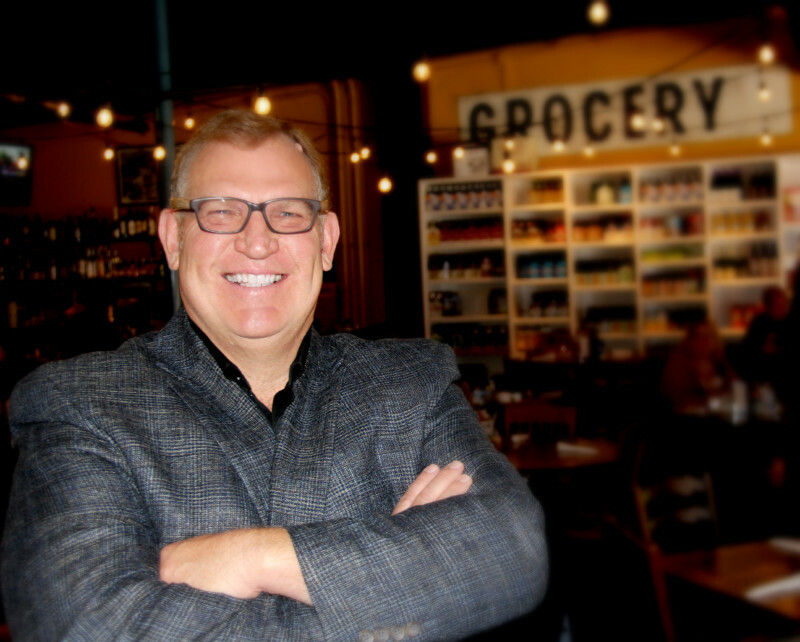 A Tennessee native, Andy Marshall grew up in the grocery business. At age 26, he purchased his first grocery store – an investment that quickly led to four additional locations, and his being named President of the Tennessee Grocers Association and the Piggly Wiggly Association. In 1998, Marshall sold those stores and bought Puckett’s, a small grocery store in the village of Leiper’s Fork, Tennessee. He launched a formal dinner and music program to enhance the shop and complement the town’s roots. Today, Marshall has expanded A. Marshall Hospitality to encompass Puckett’s Gro. locations in downtown Franklin, downtown Nashville, downtown Columbia, downtown Chattanooga, and downtown Murfreesboro; Puckett’s Boat House in downtown Franklin; Puckett’s Trolley, the brand’s mobile food venue; Puckett’s Events & Catering; Scout’s Pub, an upscale modern pub concept, in the Franklin community of Westhaven; and Deacon’s New South in downtown Nashville. Each family-owned eatery focuses on providing friends new and old with home-cooked food and Southern hospitality, the Marshall way. In addition to keeping up with his restaurants, Marshall finds time to be involved with his community. He was the president of the Downtown Franklin Association for four years, an executive board member of the Heritage Foundation of Franklin & Williamson County, and a board member of the Williamson County Chamber of Commerce. He currently serves as the vice president of the Franklin Theatre. He is also involved in the Franklin High Culinary Arts Program as the culinary advisor. The Puckett’s family of restaurants are all members of the statewide Tennessee Hospitality and Tourism Association, and Marshall sits on its board and is a member of its Education Scholarship Committee. BGCMT’s “Ed Moody Award of Excellence” honors the revered Williamson County businessman, who helped establish the Franklin Boys & Girls Club in 1989. Moody co-founded Moody’s Tire Co. after World War II with his brother, Tom. Past recipients of the Moody Award are: Cathy & Loy Hardcastle; Robert Blair; Sandra Sullivan; Peggy Smith; David Edge & Clay Mackey; and Ron Crutcher. This year’s dinner will be held on Thursday, May 9, in Liberty Hall at the Factory of Franklin in Franklin, Tennessee. The event begins at 5:30 PM. Tickets can be purchased at www.BGCMT.org. Individual tickets are $125 each. Tables of eight (8) are also available for $1,000. Each table will include six (6) adults and two (2) Club kids. The Steak & Burger Dinner includes dinner – steak for kids and mouth-watering hamburgers for adults provided by The Franklin Noon Rotary Club BBQ Society, entertainment, and a silent auction. Top-tier sponsorship levels include the $10,000 Presenting Sponsor, $7,500 Diamond Sponsor, $5,000 Gold Sponsor, and $2,500 Silver Sponsor. Sponsors receive numerous benefits ranging from various advertisements to tickets and tables. As of February 28, 2019, sponsors include: Buerger, Moseley & Carson (Silver Sponsor); Cathy & Loy Hardcastle (Bronze Sponsor); and Brenda & Hal McCard, The Moody Family, Simmons Bank, Peggy & Bill Smith, Williamson Medical Center (Blue Napkin Sponsors). For event and sponsorship information, please contact Denise Carothers at 615-628-8188 or dcarothers@bgcmt.org.